SOOO good! loving ur looks nd the style is on FIRE!! You are killing the game with the ties this week. And that riffled denim top is so cute!!! Girls, love your looks! You always look so..fresh, bright and cute:)!!! Nice girls!! You're very beautiful!! hank you for your comment on my blog, I'm following you right now, hope you'll follow me back! God I love you girls! Sometimes you guys look like you are in the same add of a magazine (similar style but done differently) and other times you rock the same trend but in COMPLETELY different ways. I love both the leather and the denim ruffles! I often times don't find ruffles flattering but you ladies styled the trend so well! I looove that green jacket and the denim + brown outfit!!! Thanks ladies, for all the lovely comments! The ruffles look so pretty! Loving that green leather jacket! 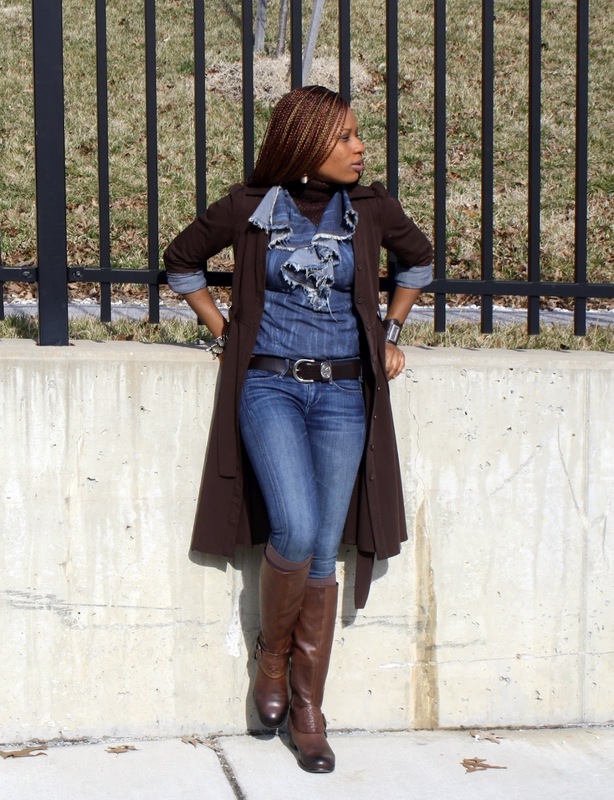 I love the long brown cardi and boots as well as the leather jacket! Gorgeous!! Denim on denim rocks! Love that dress shirt/tie combo Dammie! love the flare jeans !! Wow I love the detail on leather jacket and a booth in second look, You both look gorgeous !!! I love your green ruffle jacket, so gorgeous! Love the flared Seven jeans. Such a great shape to them! LOVING the denim on denim and that's such a great leather jacket! I don't know how I didn't see this post until now! I LOVE the green jacket and am amazed at how much it changed the outfit! Love the color combos with that! 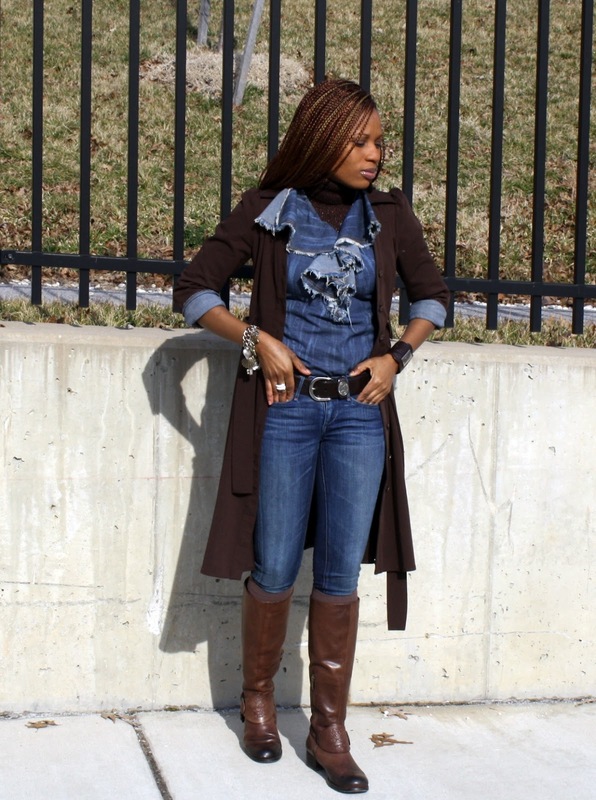 I LOVE the long cardigan over all the denim too and those boots are AMAZING! Beautiful equestrian boots and I loooove the perfectly flared denim!! Like your jacket its really really very nice.